We have enjoyed exploring the story of ‘The Elves and the Shoemaker’ this week, telling it as a whole class and making story maps in small groups to help us remember the story. We have been thinking about the different characters in the story and the important parts that make up a story. The children are getting really good at telling the difference between a fiction and non-fiction book. On Thursday we had some great discussions about our favourite books and enjoyed telling our friends about the character that we were dressed as. Thank you for making the effort to support World book day. We have been talking about Mother’s day this week and why our Mum’s important to us. The children have been thinking about all the things that make their Mum’s great and how they can show them that they appreciate them. We have also continued to think about our value of the term and how we can demonstrate responsibility around the school and at home. In our PE session this week we enjoyed warming up with some Zumba, the children are getting really good at perfecting their moves and linking them to together to perform a routine. In the main part of our PE lesson we played team games which involved working together to score points for our teams. In the classroom this week the children have enjoyed exploring the clay and creating different pictures using the tap a shape boards. Both of these activities are great for developing their fine motor control. This week we have been measuring different objects using our feet. We took inspiration from the story of the Elves and the shoemaker and have been drawing round our feet and comparing the different sizes. The children have been estimating different sizes and talking about what is the longest and the shortest. It is great to hear the children using mathematical language to describe the size of objects. We have been busy reading words that contain our new sounds this week. Please continue to support your child with their phonics homework. In our small groups phonics sessions we have continued to practise forming our letters correctly and have enjoyed playing some of our new phonics games. We have also been busy writing in our Mother’s day cards, I was really impressed with the children’s writing; they worked incredibly hard to ensure that their writing was as neat as possible. We have been busy creating our Mother’s day cards this week. The children decided that their Mother’s would like cards with flowers on, so we printed our own flowers using celery and paint. We have also enjoyed lots of singing with Mrs Bruce this week and have been using instruments to accompany our singing. On Tuesday we enjoyed hearing about St David’s day with our buddies. Nicky very kindly came to talk to all the children about why St David’s day is celebrated and then we enjoyed making our own lamb badges with our buddies. We even learnt how to say some words in Welsh. Just a reminder that we will be going to the Story museum on Thursday 17th March, please return all permission slips as soon as possible. The children will need to bring in a packed lunch on this day but we will return to school in time for the end of the day. 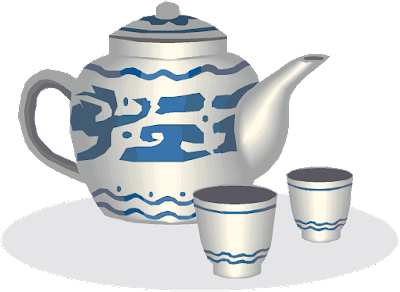 If you could invite three story (from book or TV) or nursery rhyme characters to tea who would it be and why?